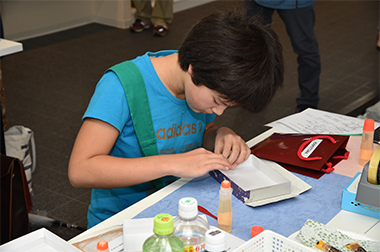 KAMITOWA offers you a chance to experience Japanese traditional paper-making and Goshuin book making which has longtime background. 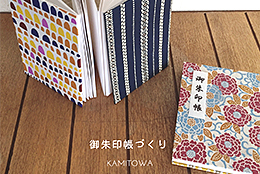 and about Kamitowa and our long history. 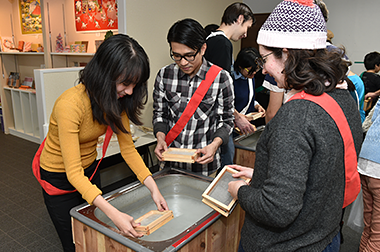 We accept Group Tours (for 15-40 people). 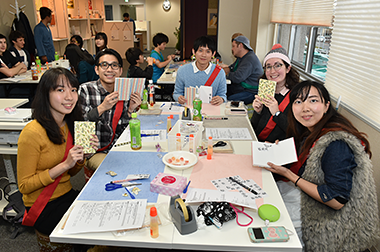 Would you like to experience traditional Japanese Culture? 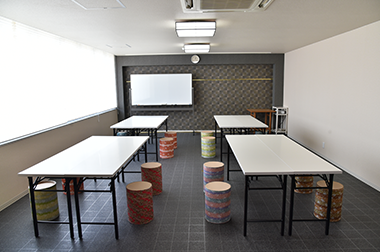 Visiting Osaka or nearby Kyoto or Nara? 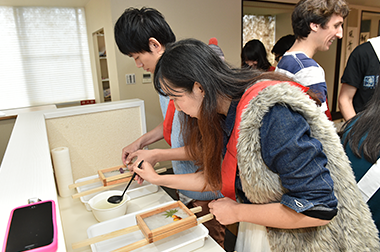 Group Tours are welcome at Kamitowa! 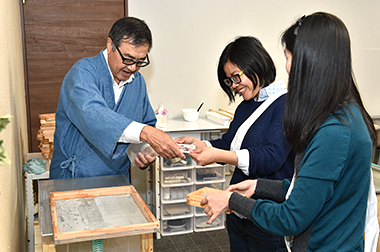 At Kamitowa, you can experience traditional paper making and Japanese paper crafts in our range of workshops. 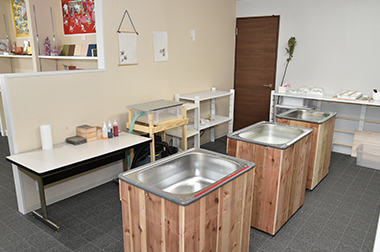 Please make a reservation from each detail page. 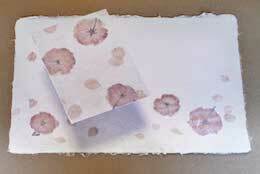 B4 size paper, separated into 4 individual postcards. 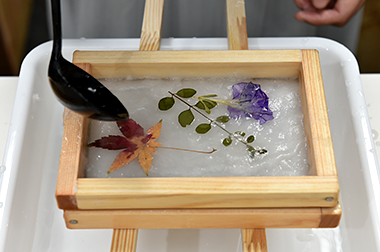 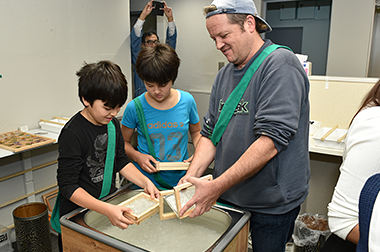 You can experience making Japanese Washi paper and forming it to your original table mat. 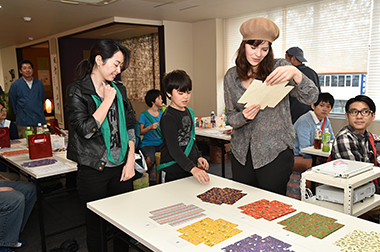 You can experience making Japanese Washi paper and forming it to your original tapestry. 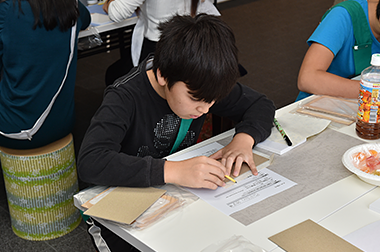 We have a range of limited seasonal workshops, such as making cherry blossom paper, matcha paper & more! 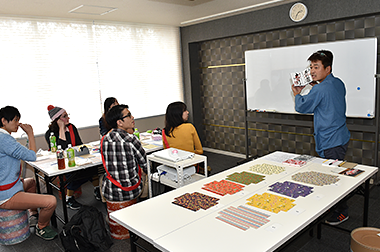 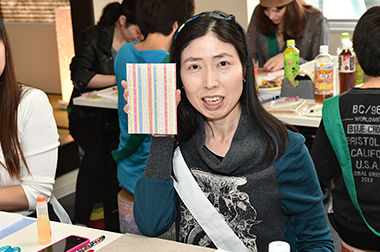 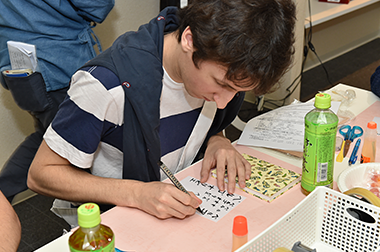 You can make a traditional Japanese Goshuin book, choosing your favorite patterned papers. 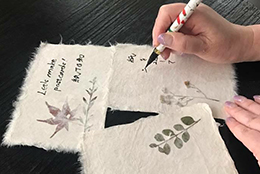 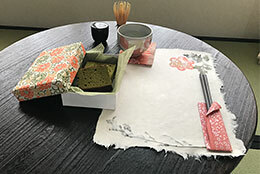 Here at Kamitowa we plan and hold a range of experiences and workshops such as Washi paper making and Japanese paper crafts, so that you can actually see, make and touch Japanese paper that is unique depending on the production area. 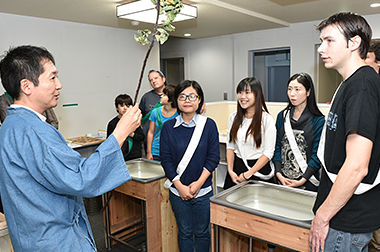 We hope you enjoy this traditional Japanese cultural experience that dates back 1,000 years at our workshop in the Higashi Osaka, 30 minutes from Osaka city. 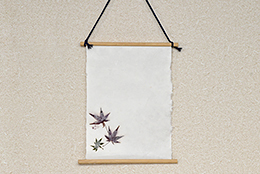 Copyright © Kamitowa All Rights Reserved.